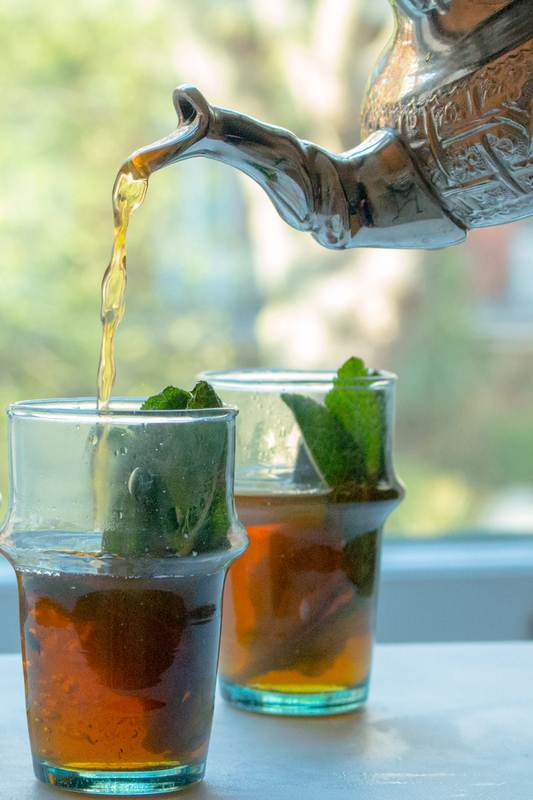 So we are all clear that Mint Tea is a HUGE thing in Morocco . . .
And in fact some would go so far as to say that no trip to Morocco was complete without at least one glass! 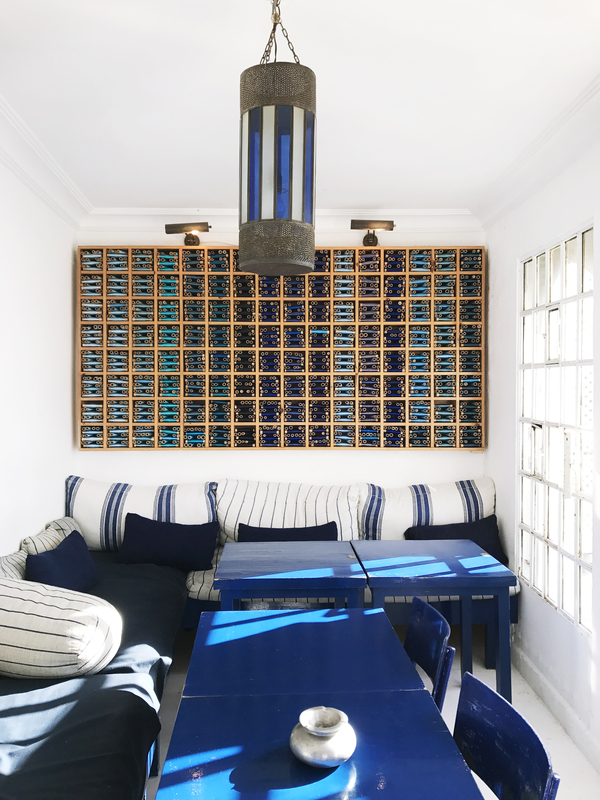 It was – for me – an acquired taste, and I am still more likely to order a strong cup of coffee to fortify me before heading off into the souks and streets of Tangier. But should you decide to take a tea, be warned that it will be sweet, and although I don’t have sugar in tea or coffee anywhere else in the world, Mint Tea in Morocco is best taken with sugar . . . trust me! However requesting a slightly less sweet version is an option . 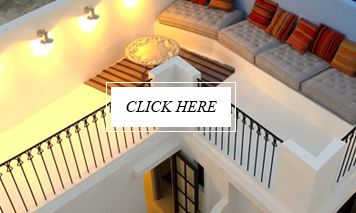 With this in mind I thought I would take you on a wander through Tangier, from the edge of the medina overlooking the harbour, through the Petit Socco and up and over to the other side with a view across the straits. This is not a trip to be rushed – drinking mint tea should be a leisurely affair which involves a lot of sitting, sipping, watching the passers by, catching up on local gossip, and on a good day simply enjoying the view and the sunshine. Our first stop is The Hotel Continental. 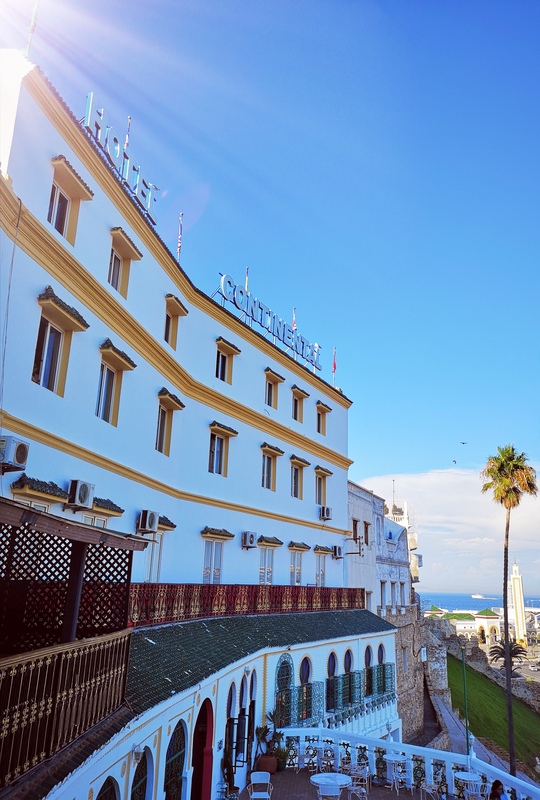 The Grande Dame of Tangier that has seen the famous and the infamous and remains a firm favourite despite, or perhaps because of, its slightly vintage Wes Anderson aesthetic. If you have arrrived in town via a ferry from Spain, you can literally walk off the boat and onto the terrace to order that first glass of mint tea. 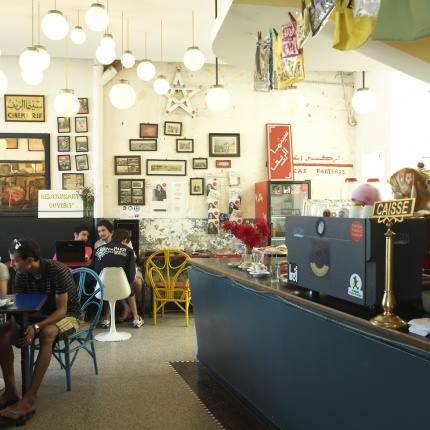 If you head up into the medina behind the Continental, follow the road until you get to the first small square, the Petit Socco – where you will find a few cafes around the edges. One of my favourites is Tingis. 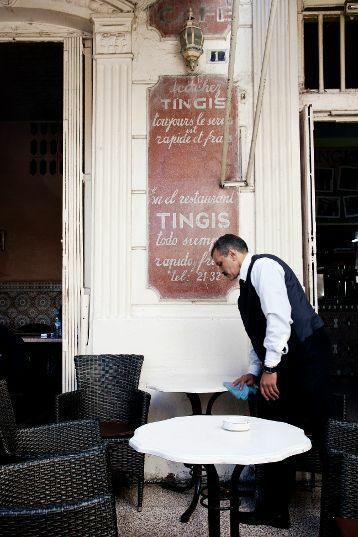 Order your mint tea, and if you spend long enough here the chances are you will see somebody you know from somewhere – Tangier is like that. Out of the medina and into the Grand Socco – the main square – the Cinema Rif in all its Art Deco glory is an unmistakable landmark and another great place to spend some time. 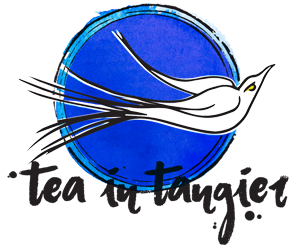 This time you can get Wifi along with your Mint Tea so you can catch up on a little social media! Then, diagonally across from the cinema, its time to take the uphill route along the Rue de la Kasbah. By the time you get about halfway up you might be ready to take a seat. 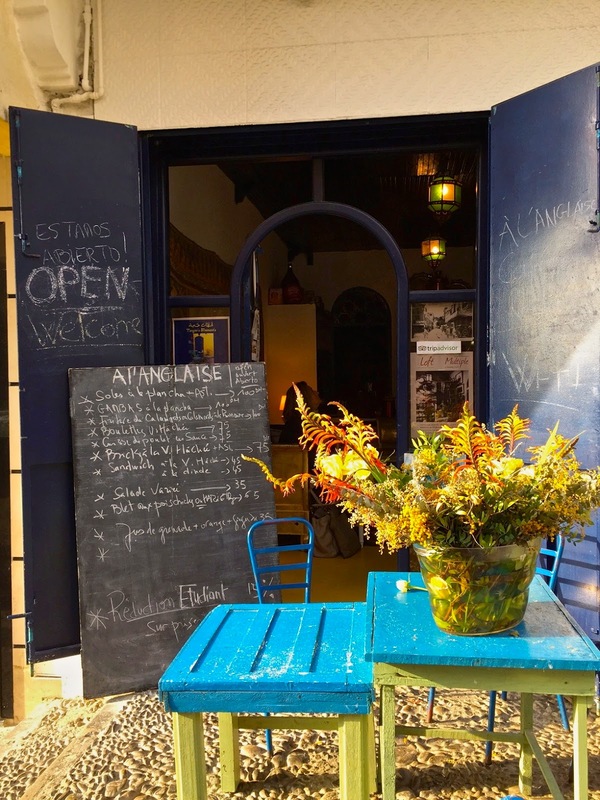 The Cafe A l’ Anglaise is perfectly placed for a mid climb break, and their Mint Tea will prepare you to head onwards and upwards into the Kasbah. 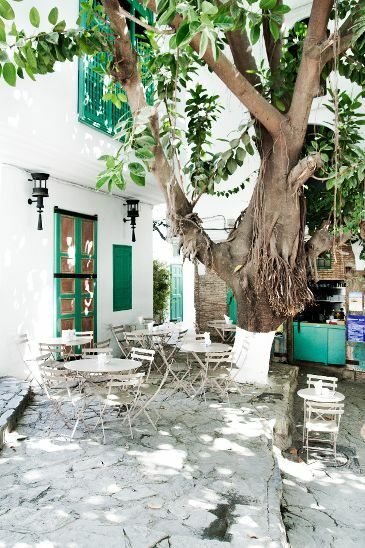 First stop in the Kasbah is under the unmissable Ficus tree that shelters the tables of the El Morocco Cafe. 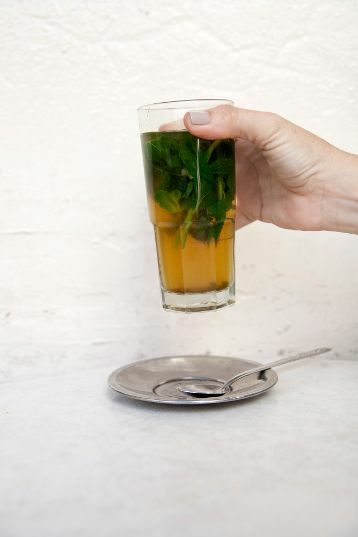 And if by this point you are looking for an alternative to Mint Tea try their Lemon and Mint juice – I love it! Further into the Kasbah and you reach the Place de la Kasbah and Le Salon Bleu. Great location, decor and view with your mint tea – you might want to order a sweet pastry or two while you are here. 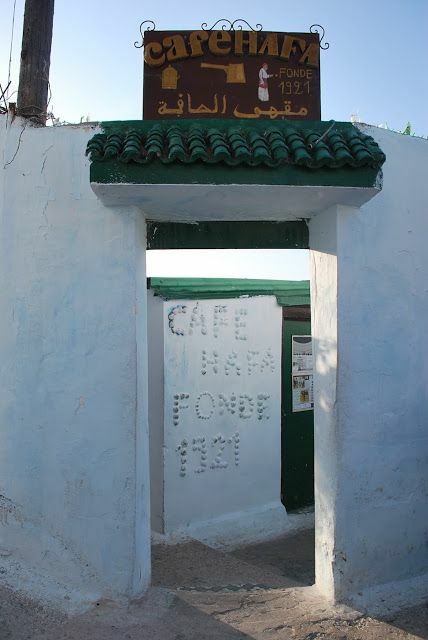 no tea route through Tangier would be complete without spending some time at the famous Cafe Hafa which has been serving Mint Tea with a spectacular view since 1921. Sitting in the sunshine on the terraces of Cafe Hafa is the perfect end to your day as you watch the sun dip into the horizon across the straits and contemplate the closeness of continents. 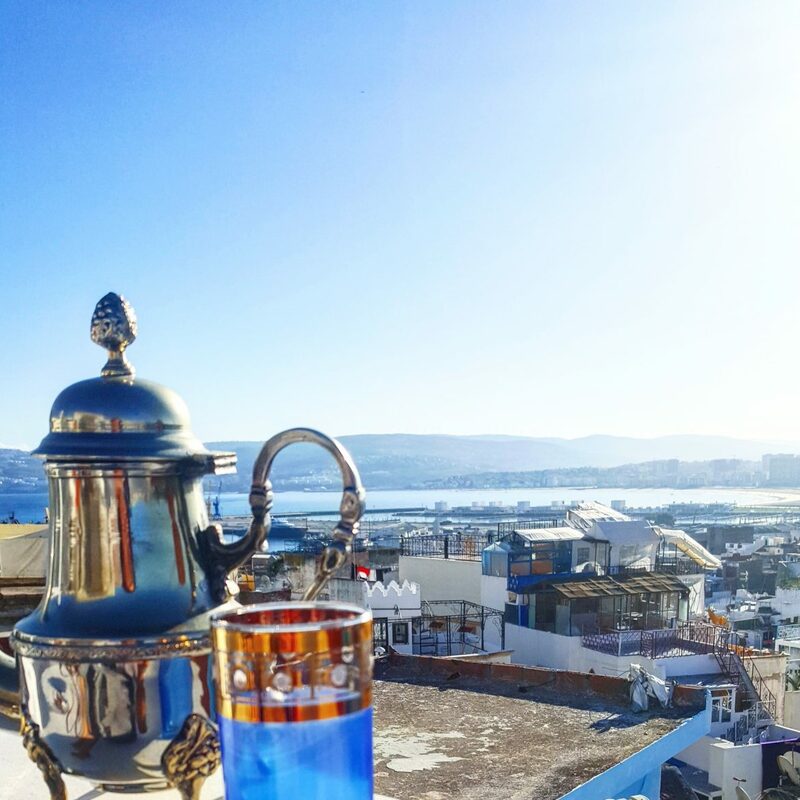 And if your travels are not taking you to Tangier anytime soon, follow this guide by My Moroccan Food on how to make the perfect pot of mint tea in the comfort of your own home.